Underwood has the skilled manpower to project manage and move entire manufacturing plants of with a wide range functions and sizes. 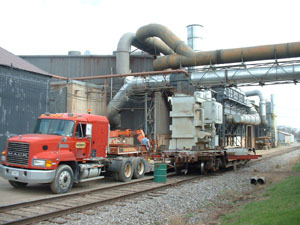 From disassembling all components to crating, rigging, transporting and reinstallation of equipment and production lines at a new location, our team is fully equipped to transfer your factory efficiently. Our expert riggers, fitters and engineers work together to coordinate all the logistics necessary to give our clients the peace of mind that their relocation will be executed with attention to detail and minimal downtime. 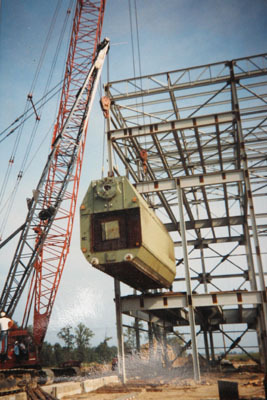 If your new destination is not ready for a full factory install or if you just want to move a portion of your facility, Underwood provides short-term or long-term secure storage. 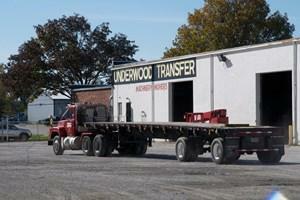 Whatever your needs, Underwood will accommodate your move, making complex transports seem simple. 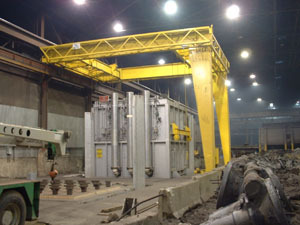 For more information about our heavy haul, rigging, machinery transport and warehousing services, visit our rigging project gallery or contact us today.